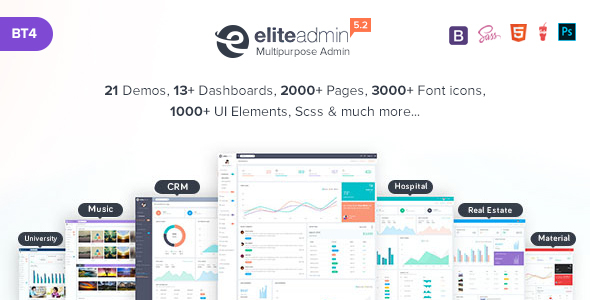 Eliteadmin is a premium admin dashboard template with flat design. 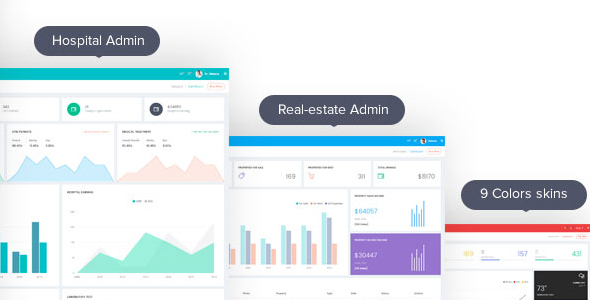 It is fully responsive admin dashboard template built with Bootstrap 4 Framework, HTML5 and CSS3, Media query. 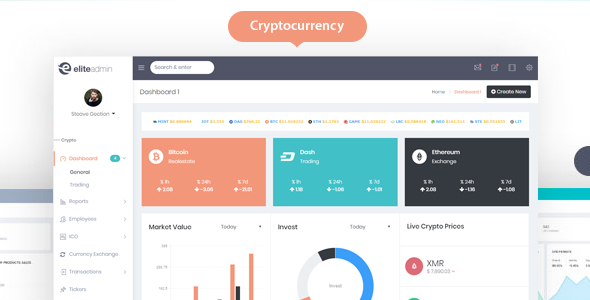 It has a huge collection of reusable UI components and integrated with latest jQuery plugins. 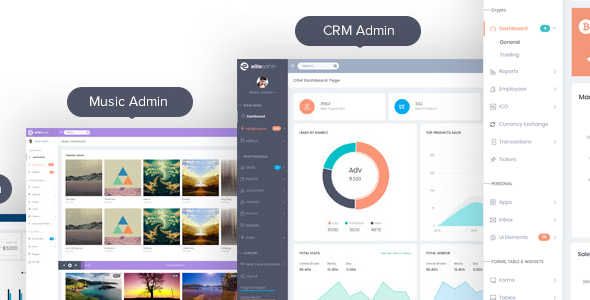 It can be used for all type of Web applications like custom admin panel, app backend, CMS or CRM. [updated] bootstrap to v4.2.1 and detail changelog is with the package. 2) in sidebar, white background on active anchor tag is corrected.